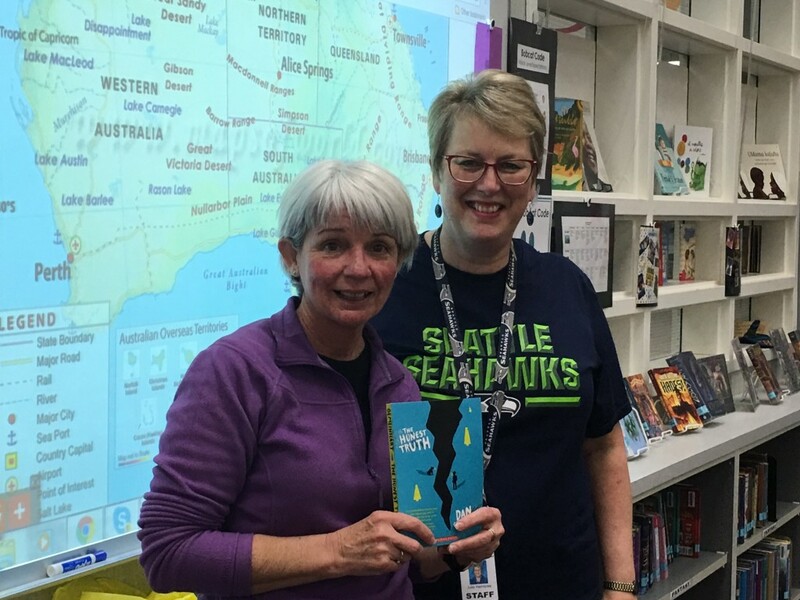 We had a very special visitor in the library last week. This person is from Australia and while we have been friends since 2011, we had never met face to face until last week. Who visited our library? The wonderful Miss Y from St. Martin’s Primary School near Melbourne, Australia. Miss Y and I met through blogging and common blogging buddies. 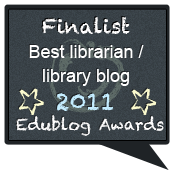 In fact, I found the very first time Miss Y made a comment on our blog. It was in March 2011! 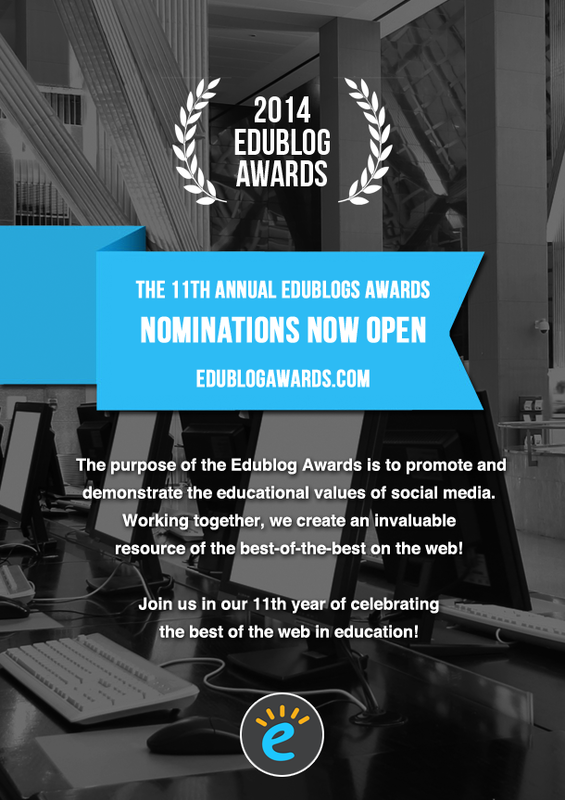 Since then we have remained blogging buddies across the miles, sharing ideas for books, lessons and ways to integrate technology into the library. She wrote about our friendship on her blog here. I was absolutely thrilled when I found out she was planning a trip to visit the US and would begin her trip in Seattle. Even better was that she would be able to visit our school. 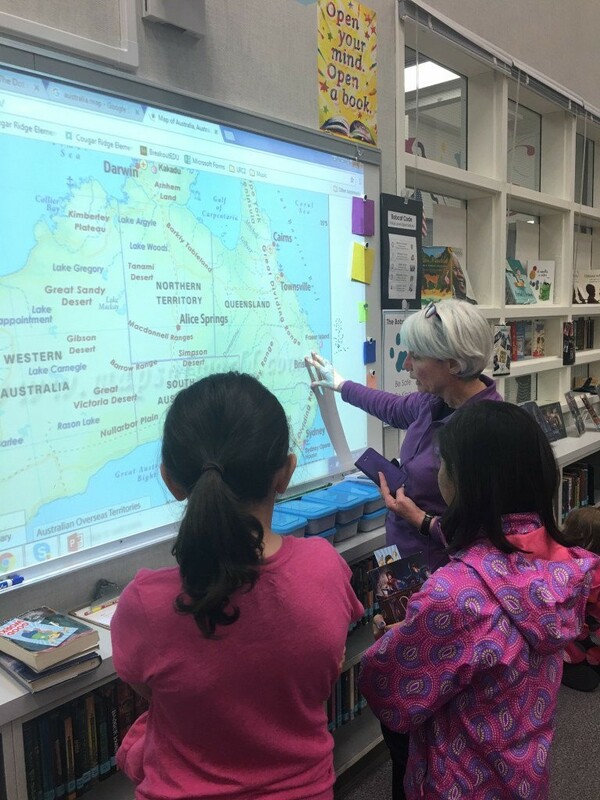 She shared some Australian geography lessons with students as they were quite surprised by how large the country and continent of Australia actually is. 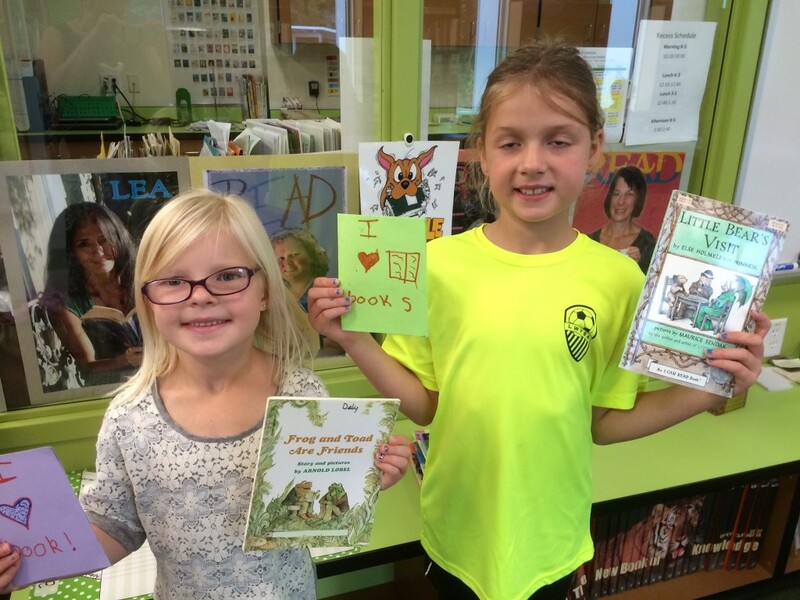 We shared book presents with each other. 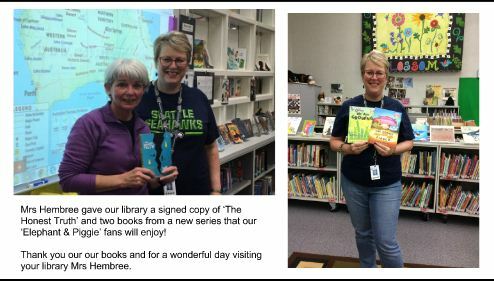 She left Seattle with a signed copy of The Honest Truth and the new Elephant and Piggie inspired series books. 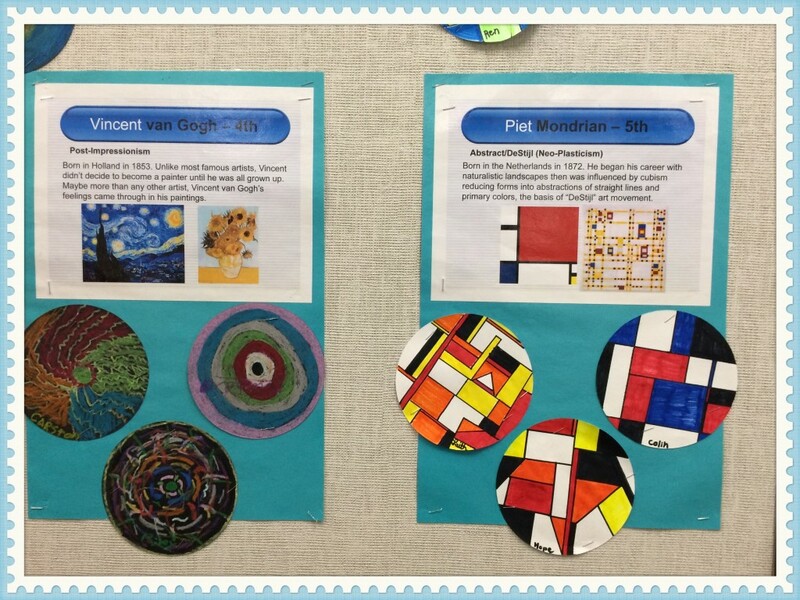 We are HUGE fans of Dan Gemeinhart’s books. 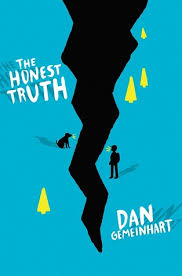 Miss Y, some 5th graders and I had an interesting conversation about the differences between the American cover of The Honest Truth and the Australian cover of the same book. A few people were appalled that I preferred the Australian cover. Oops? Can I say that? 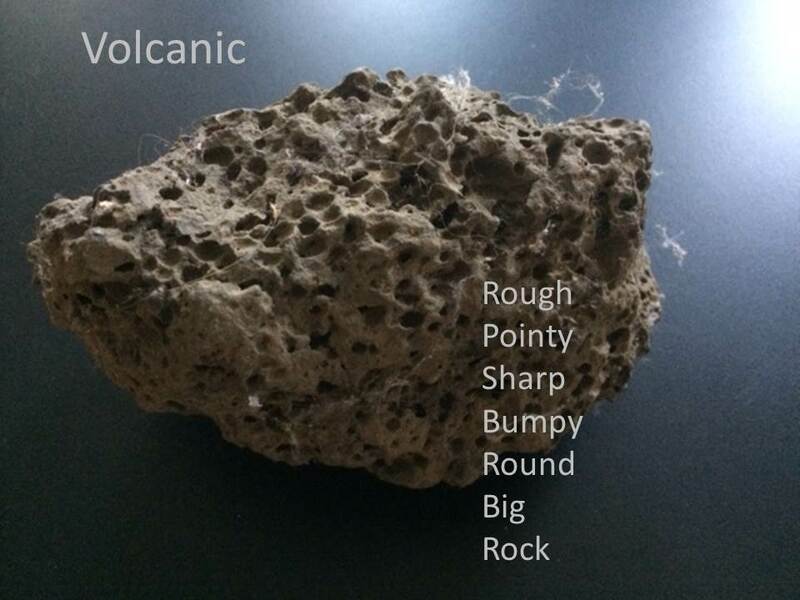 I love Dan Gemeinhart’s books, I just think showing the mountain on the cover makes more sense. We also discovered that Santa Claus comes to Australia in the summer when it’s really hot in Australia. 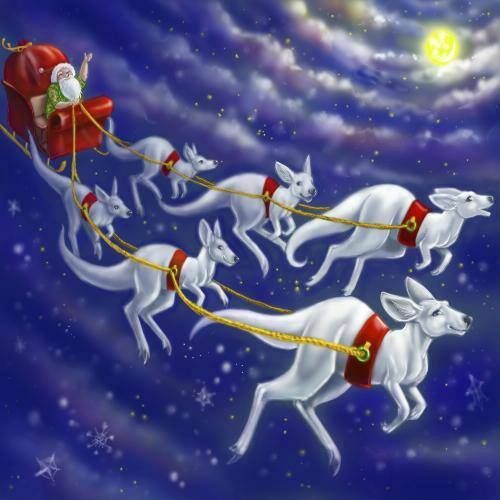 He usually arrives in shorts and often rides a sleigh pulled by six white kangeroos! One very special present Miss Y gave us is a copy of the book Pig the Pug and our own Pig the Pug. This character who needs to learn a lot about getting along well with others is a favorite at her school. 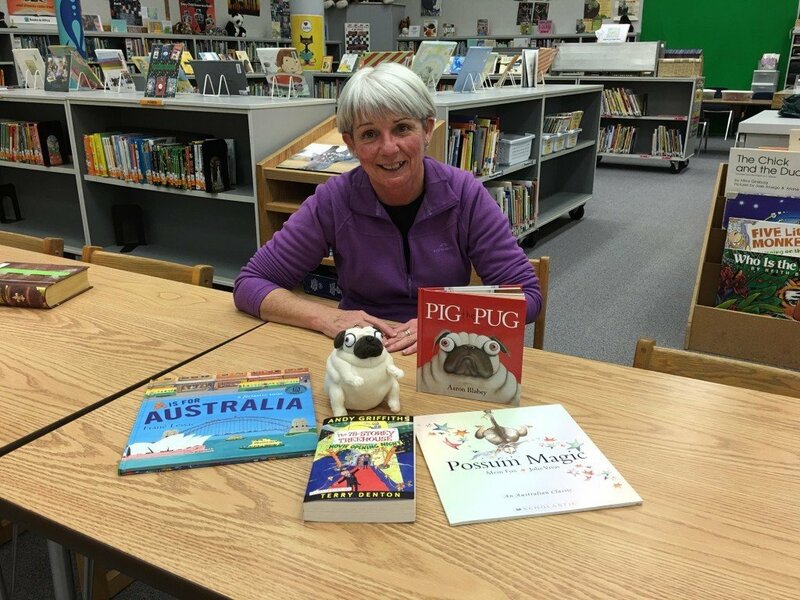 In fact, they have two traveling Pig the Pugs who go home with students and have stories read to them. You can read about his Australian adventures here. Pig the Pug has had over 153 home adventures in 2016. It sounded like so much fun, I have decided to have our Pig the Pug also be a traveling friend. Since we only have one plushy toy, the only students who will be able to take him home are third graders. 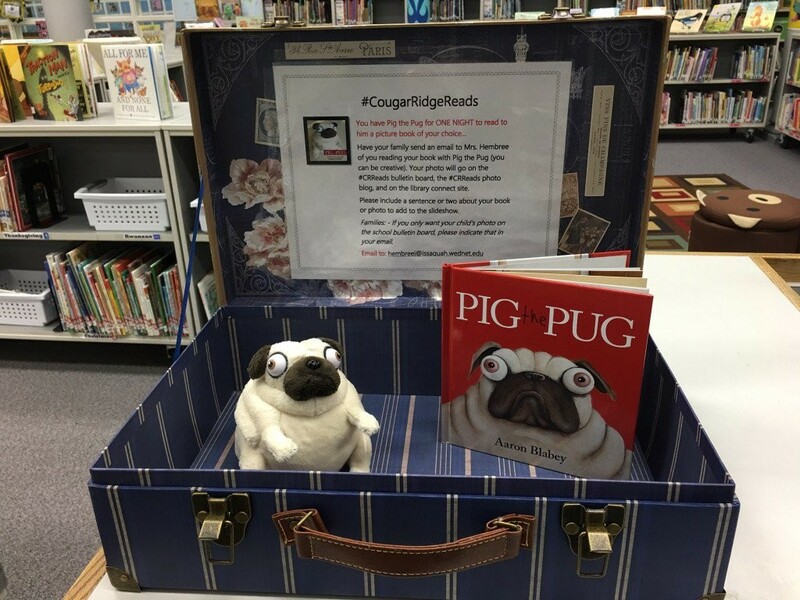 Students who want to have a chance to take Pig the Pug home on an overnight reading adventure will fill out a raffle ticket. 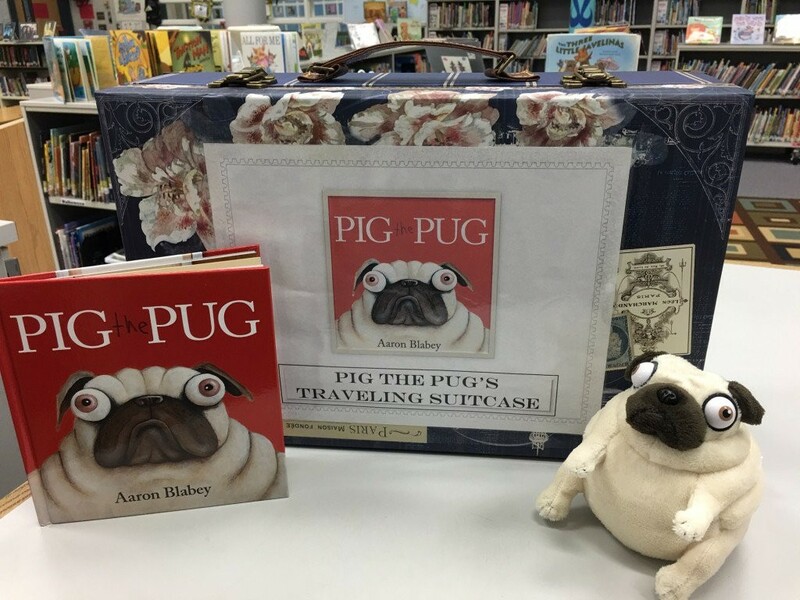 Each day I will pull a raffle ticket out of the box and deliver Pig the Pug to the lucky person in his special traveling suitcase. 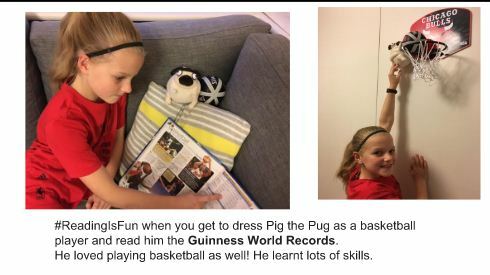 A letter in his suitcase will explain that Pig the Pug is on a special overnight reading adventure and LOVES to have his picture taken with his reading buddy. 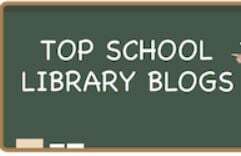 I will post them on our #CRReads bulletin board and on his own page on this blog. We are going to have some pug fun this fall thanks to Miss Y. Save travels to Miss Y as she continues her trip to Vancouver, Toronto, New York City and Washington, DC. 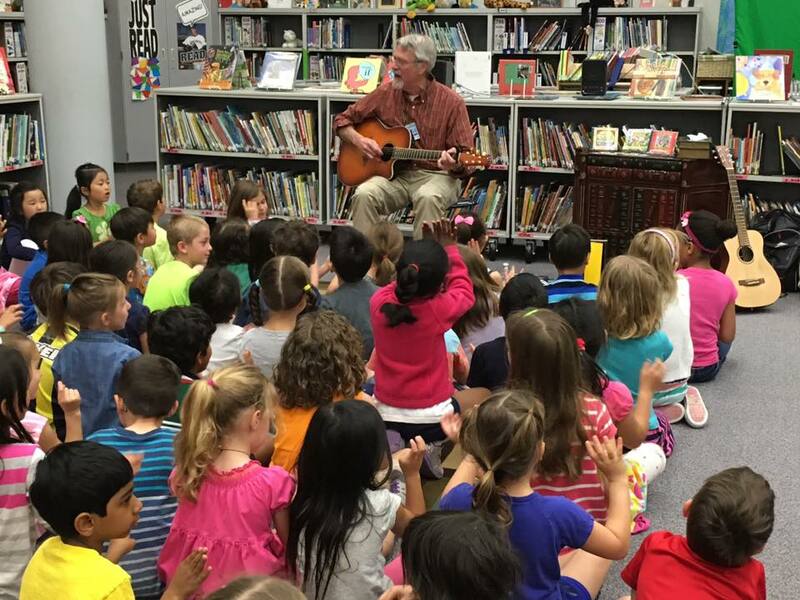 The singer/songwriter John Farrell entertained our kindergarten students this week with a fun program promoting peace, friendship, books, fun animals and caring. 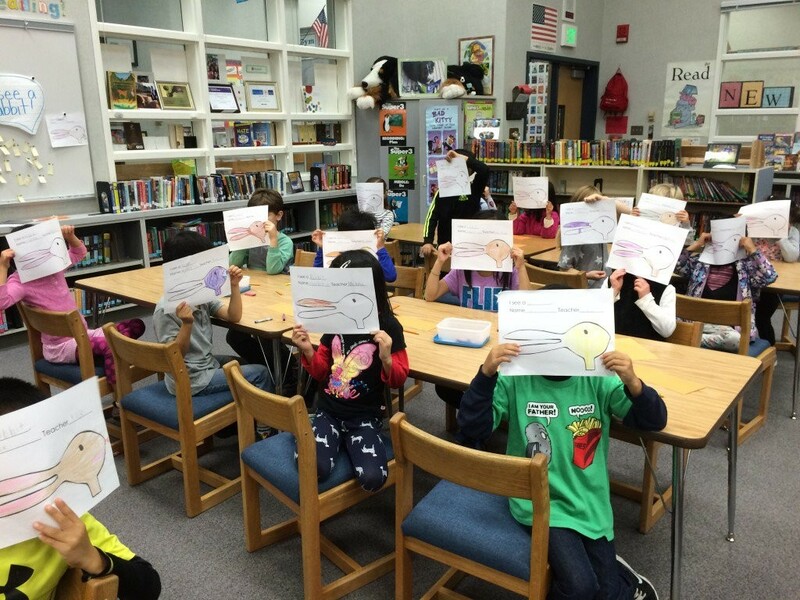 Everyone participated with hand movements and singing about ants, libraries, feelings and other fun topics. Here is a short video of his visit. I am so grateful that John was able to visit our school and I could finally meet him face to face.John Farrell is also the founder of “Bridges of Peace and Hope,” an international, non-profit organization of teachers and students dedicated to promoting education and understanding through collaborative, creative arts exchanges and service learning projects. I joined the Bridges of Peace and Hope non-profit group in 2015, but hadn’t met John yet. 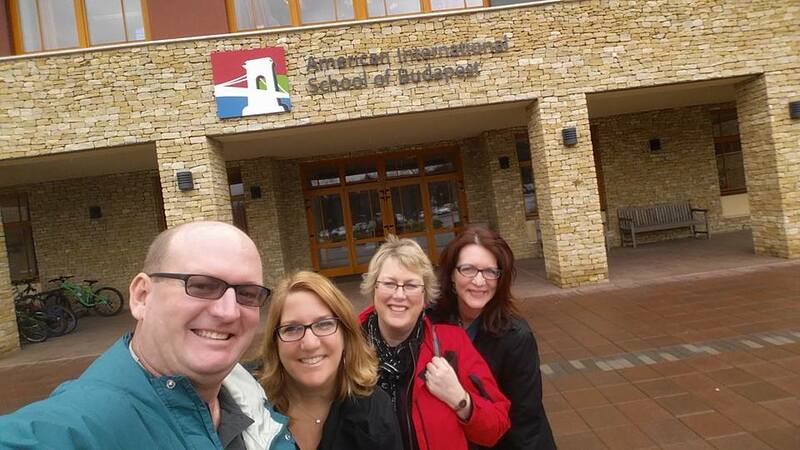 When I went to Budapest, some other members and I visited a school also very involved with the program. 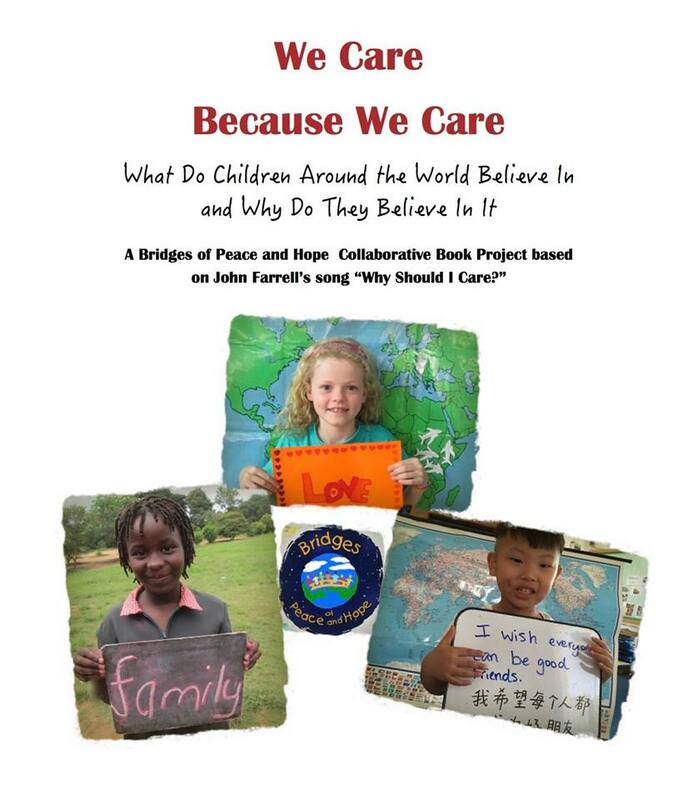 Now I’m looking forward joining the “We Care Because We Care” book project. 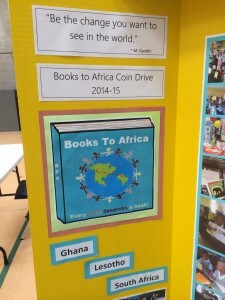 I think it would be an awesome addition to our Books to Africa project. 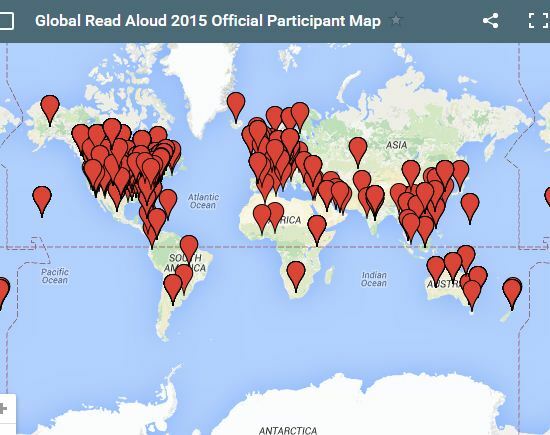 For week 2 in the Global Read Aloud 2015 we read Duck! Rabbit! 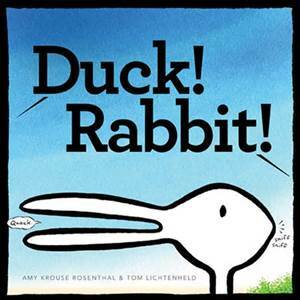 by Amy Krouse Rosenthal and Tom Lichtenheld (illustrator). Is the illustration a duck or is it a rabbit? It really depends on your point of view and what you see. 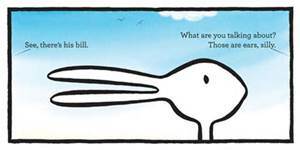 This funny picture book helps children understand that there are two sides to every story and sometimes we need to look at another point of view. Here’s a video with a short version of the book. 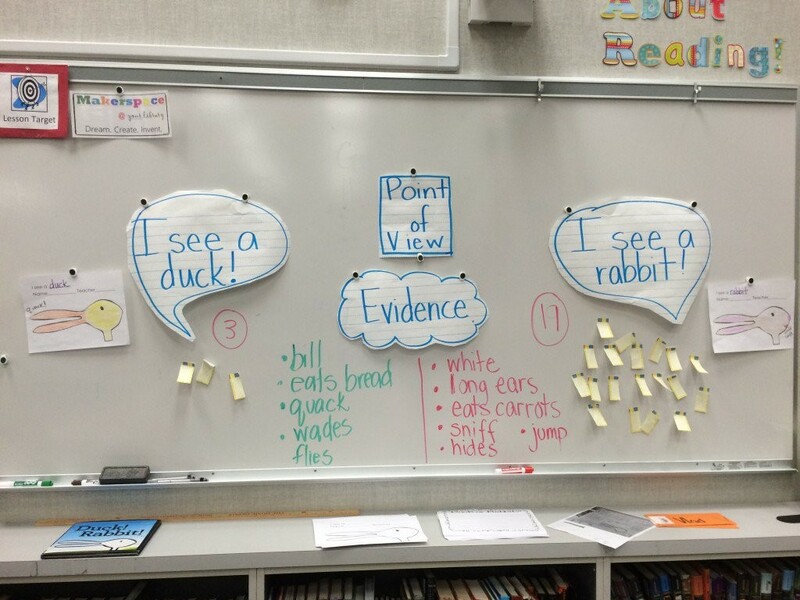 After we read the book, we gathered data about how many of us saw a duck or a rabbit and the reasons why using evidence from the text of the book. Then the students colored their own paper if they thought it was a duck or a rabbit. 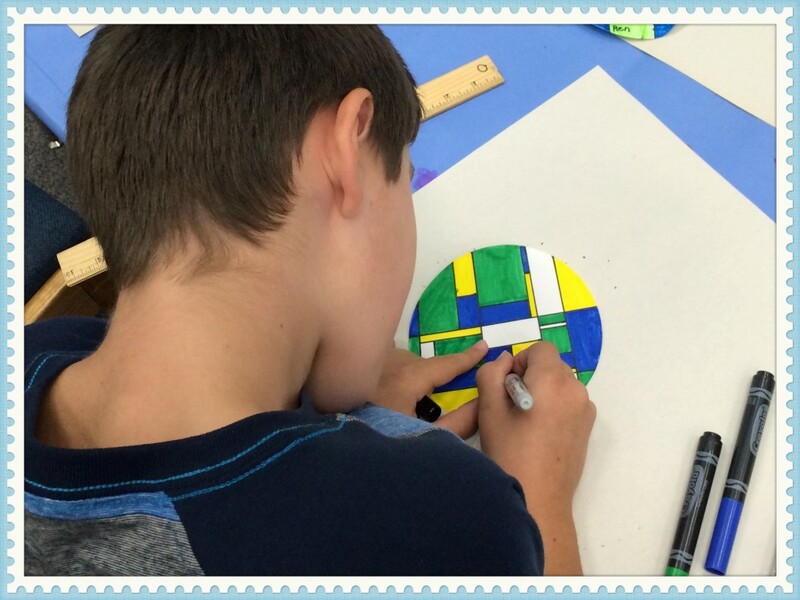 With the third graders, we took it up a notch and studied some common optical illusion drawings. Sometimes it is not easy to see the two views of a drawing. 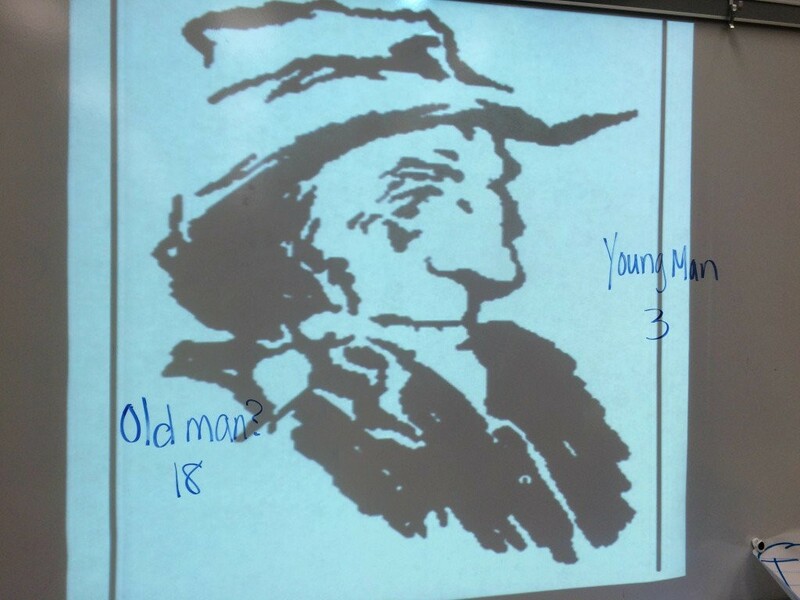 In the drawing below there is an old man and a young man. I could not see the young man and it took numerous students coming forward to try to explain how to see the young man. To be truthful, I was ready to give up, but the students wouldn’t let me. Finally two students helped me break through my optical illusion block. My cheer of “I see it!” made everyone laugh! Can you see both? 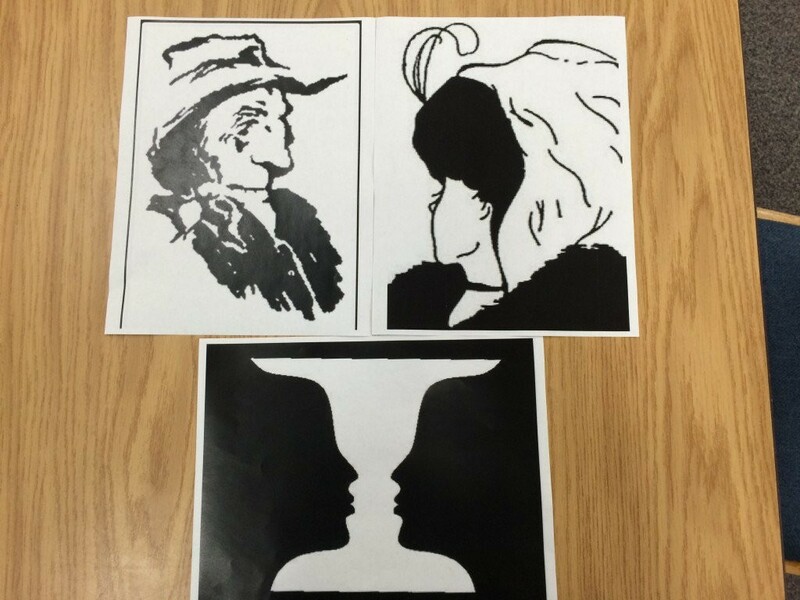 I was thrilled when after our lesson students found the optical illusion books to check out! 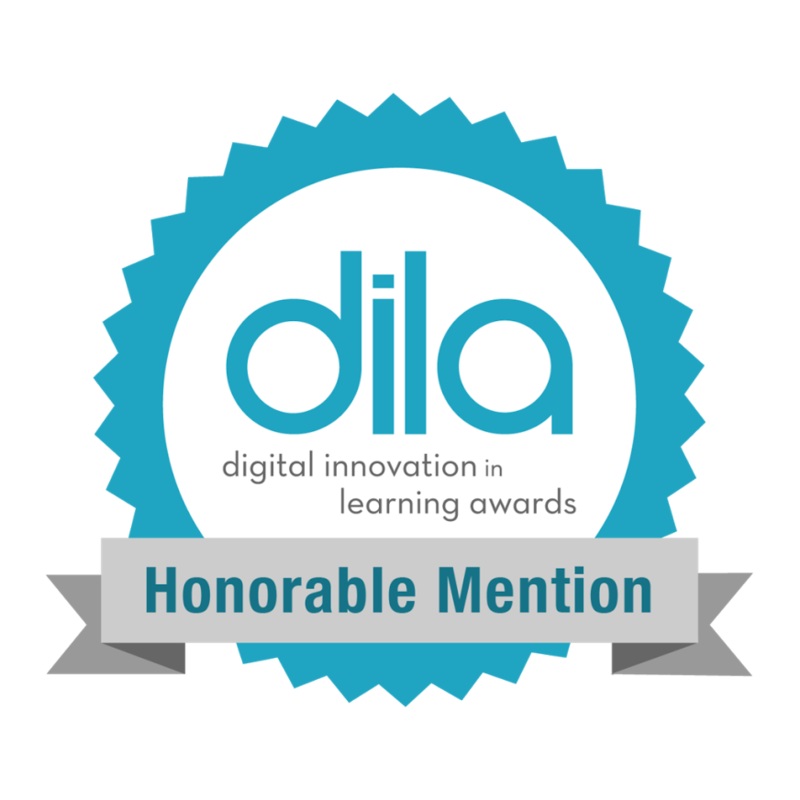 I would also like to thank Kelly at http://thefirstgradefairytales.blogspot.com for the Duck! Rabbit! 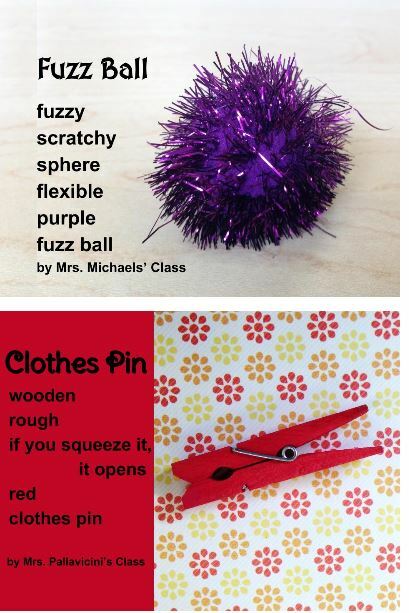 lesson ideas posted on Pinterest. Next week we will be reading about what is fair in the book That’s Not Fair! 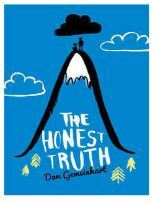 We are huge fans of the Wenatchee, Washington based author and school librarian Dan Gemeinhart and his first novel The Honest Truth. In late February Josa and his Mom gave me a copy of The Honest Truth with the message,“You have to read it Julie. Josa and I loved it. 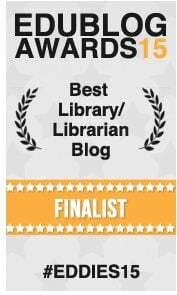 We think you will too.” So, I took it home and put it to the top of my book pile. That was the beginning of our love fest with this book. I wrote a review and published it in early March. I couldn’t put the story out of my mind and it didn’t take long until I made a book trailer to show my students. It never gets old when an author tells you they like a book trailer you have made for them. He even embedded it on his website . Now our four copies are always checked out with a long list of fans waiting not-so-patiently for their turn. It’s become the norm to hear the students talking about the book and discussing their favorite parts. So say we are avid fans is probably an understatement. When I asked Dan if he could Skype with us, he willingly agreed. The students wrote down their questions on the white board so they could reference them during our Skype session. 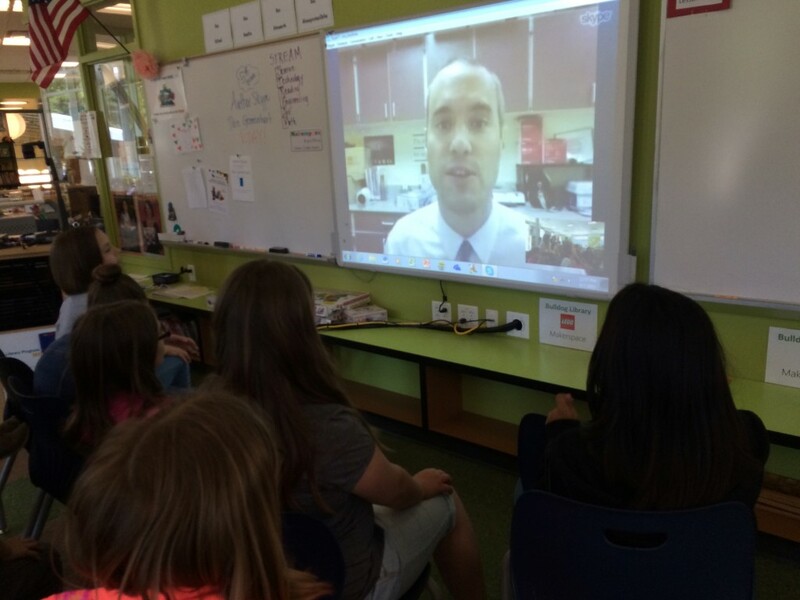 We had about a dozen students give up their recess to talk with Dan virtually. We learned that The Honest Truth is not a true story, but he did know someone who had cancer and that influenced his story. 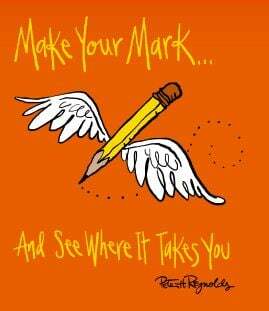 He dreamed of being an author from second grade, but it’s only been in the last eight or nine years that he got serious about writing. He wrote four books before this one, but was rejected 99 times! The Honest Truth was his 100th submission to a publisher and it was accepted immediately. 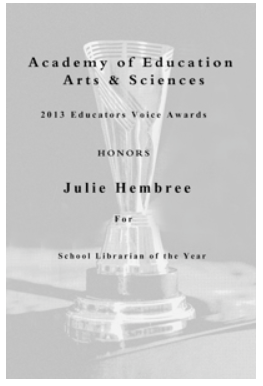 Thank you Scholastic Publishing! Apparently 100 is his lucky number. He emphasized that you have to keep trying to achieve your goals, and not stop because you fail once or twice. Use what you learned and move forward. Don’t give up and believe in yourself. He and the students talked about their favorite characters. He did share that Beau and Wesley are his favorites in. He spoke about the importance of naming characters in a story and how the name Beau (the dog) came to him immediately. It’s not always like that, and right now he’s wondering if he has found the right name for the horse in his next book. His new book Some Kind of Courage is coming out next winter, but it is not a sequel to The Honest Truth. The book is set in Washington again, but in the late 1890’s. It sounds like it’s a mixture of western realism, historical fiction and adventure. Twenty minutes flew by in record time. After we finished the call, the students were so excited about their visit. 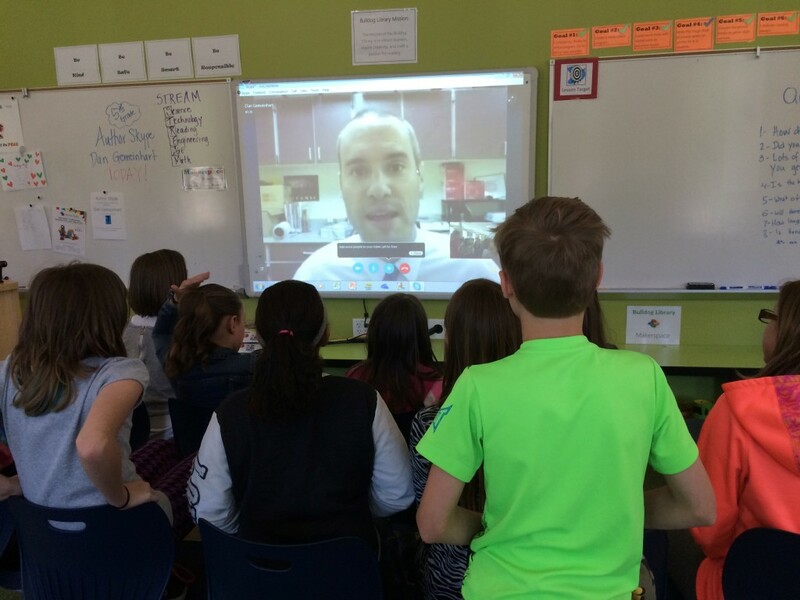 They couldn’t believe they had just had the chance to talk virtually with a REAL author! 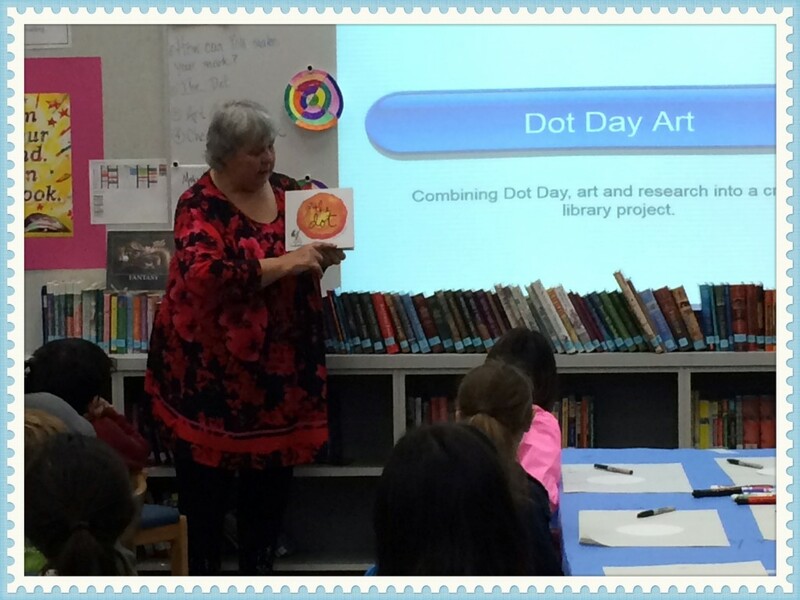 Many told me they prefer Skype author visits over large in-person author visits because they are so much more personal. The conversation evolves naturally and is controlled primarily by the students. 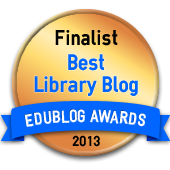 I love how technology can bring the world into our library! Thank you Dan! How did Poetry Month slip away so quickly? 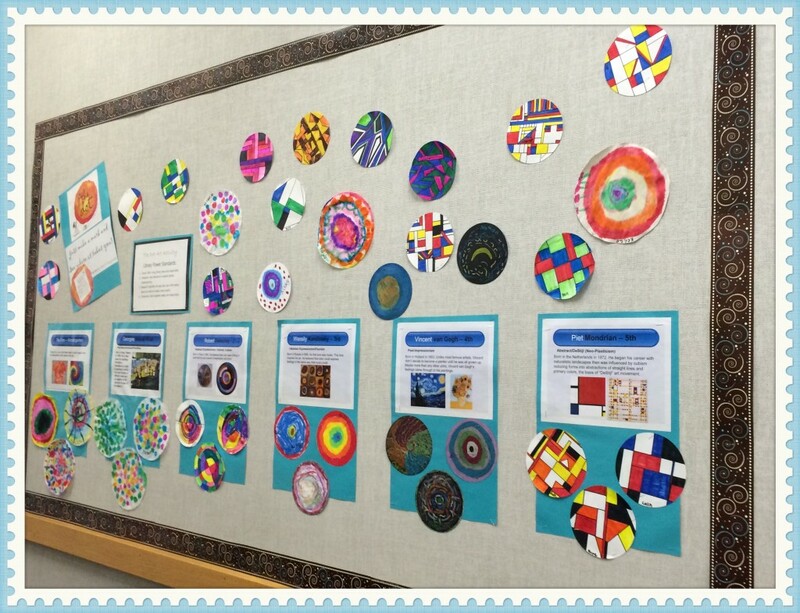 April was National Poetry month and once again we celebrated poetry in the library. Unfortunately I didn’t get our poems published on the blog during April. A little late is better than never! The theme this year was “Wild about Poetry” and most of the poems students wrote had an animal theme. 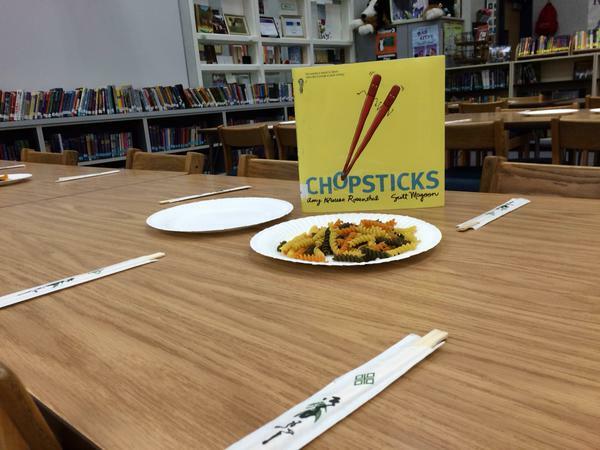 We wrote some specifically for our friends at Benfer Elementary in Klein, Texas. 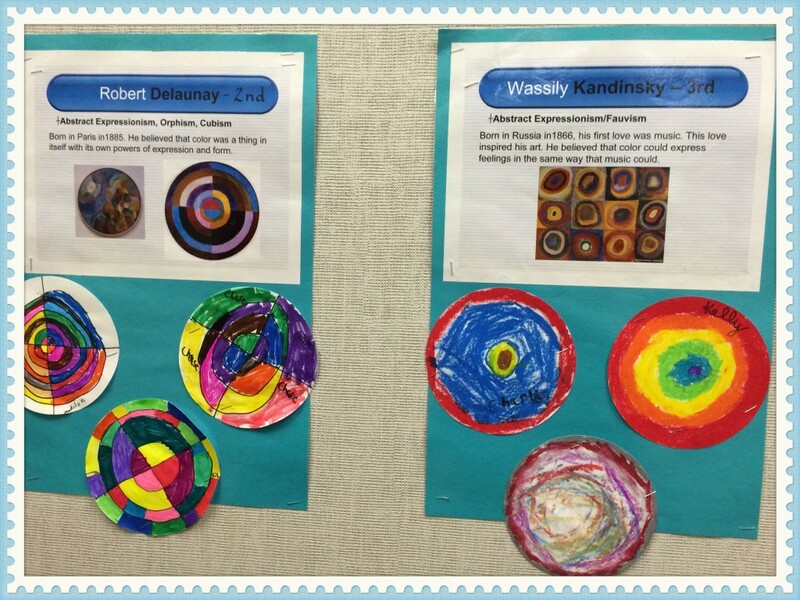 This is our second year collaborating with our 1st graders for Poetry month. Last year we wrote acrostic poems and PaperBag style poems for each other. PaperBag poems are a mystery style poem. An object is placed inside a paper bag and students have to use describing words as they touch and feel the hidden object. Acrostic poems are written both vertically and horizontally. Written by the students at Benfer Elementary. This year the students at Benfer continued the tradition and wrote some new PaperBag poems for us. 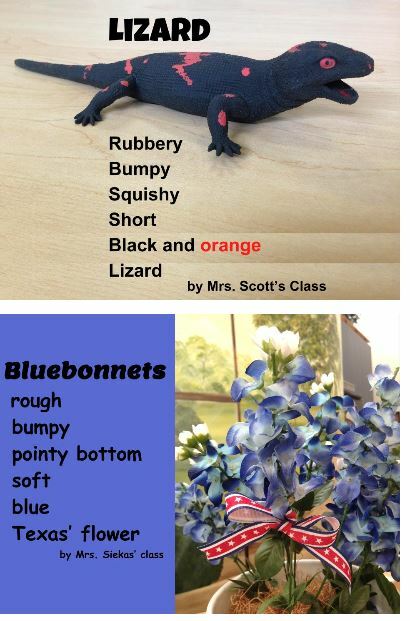 We shared poems through social media and our blogs. 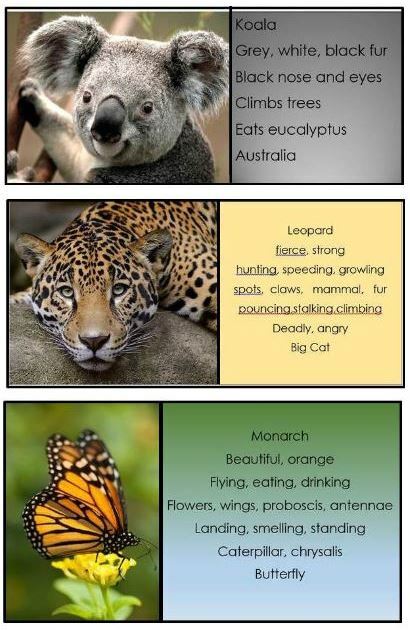 We also wrote our Wild Animal poems for them. 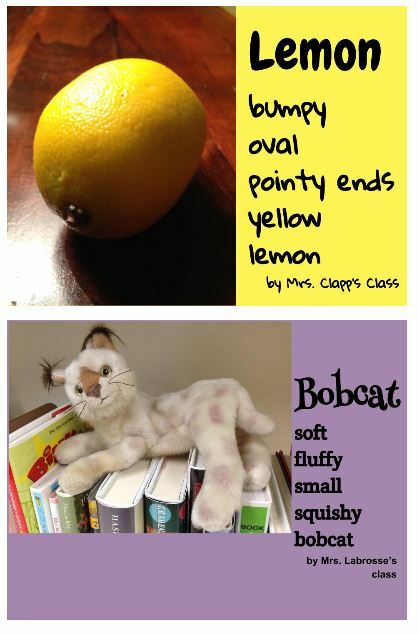 Mrs. Camp and I both think our first graders did a great job in using describing words in their poems. I wonder what we will write next year. Look what we sent in the mail! 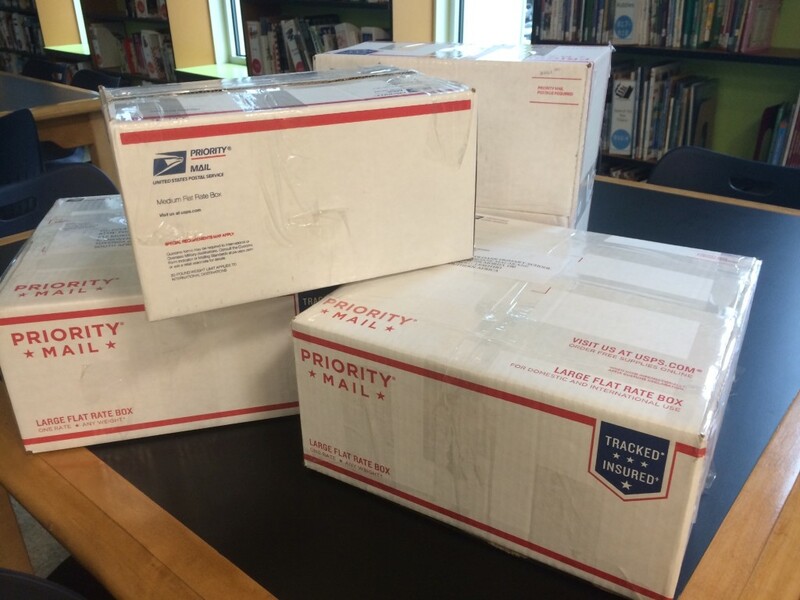 On Wednesday we sent our first shipment of books to our partner schools in Africa! 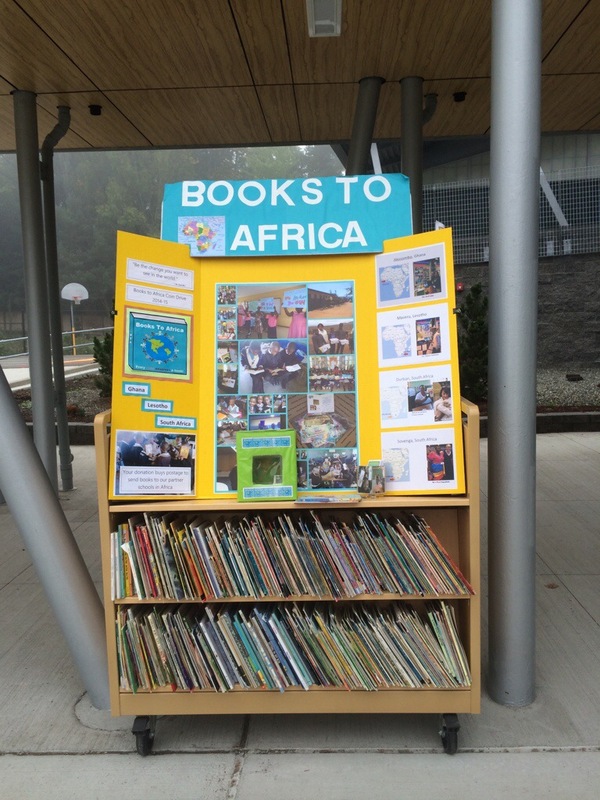 Four boxes of books began their journey from our school to Ghana, Lesotho, and South Africa. For the past few weeks we have done fundraisers to raise enough money to pay the postage for these four books to books. By the end of October, we raised over $350! That’s enough to send books overseas. 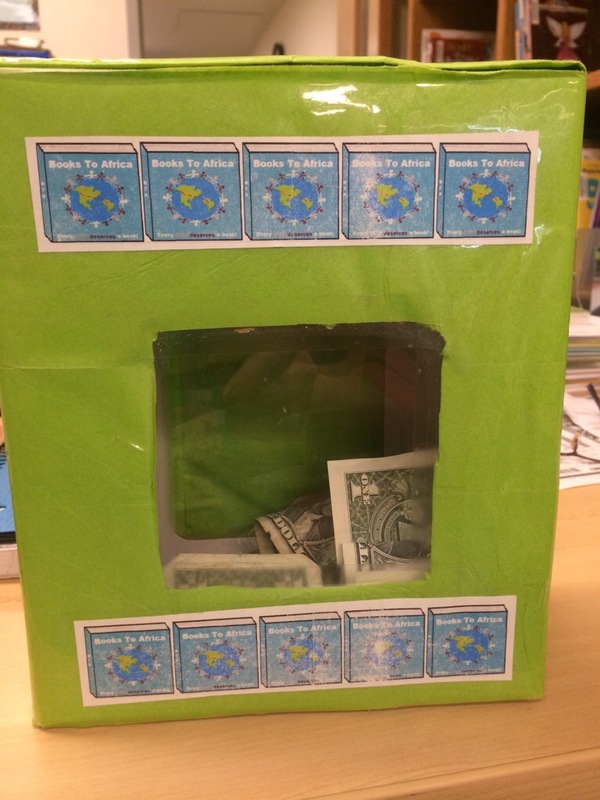 Then our students signed each book and make cards to insert into each box. 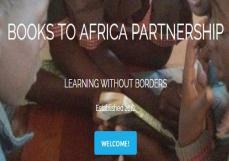 In the past, our Books to Africa was only for students in grades 3-5, but this year it has expanded to all grades. Anyone can come to our meetings on Tuesdays and participate. 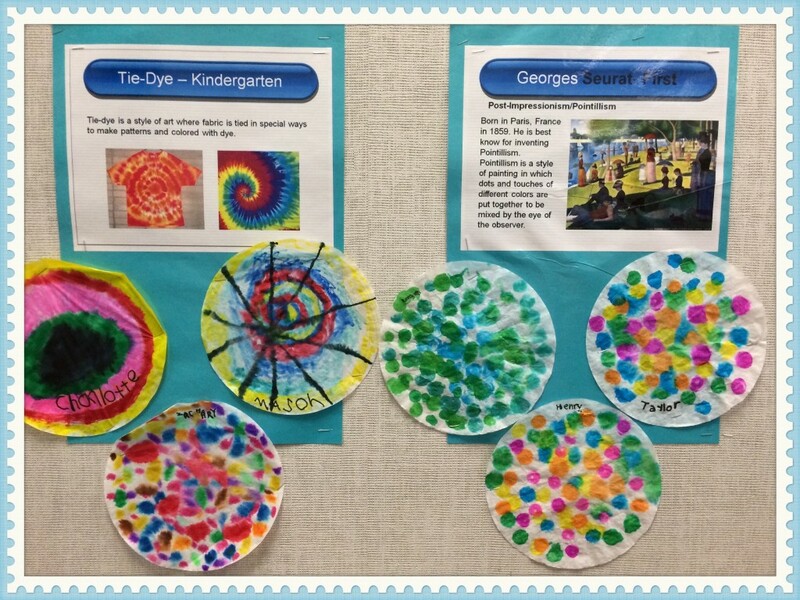 We have been working with these schools for the past two years. 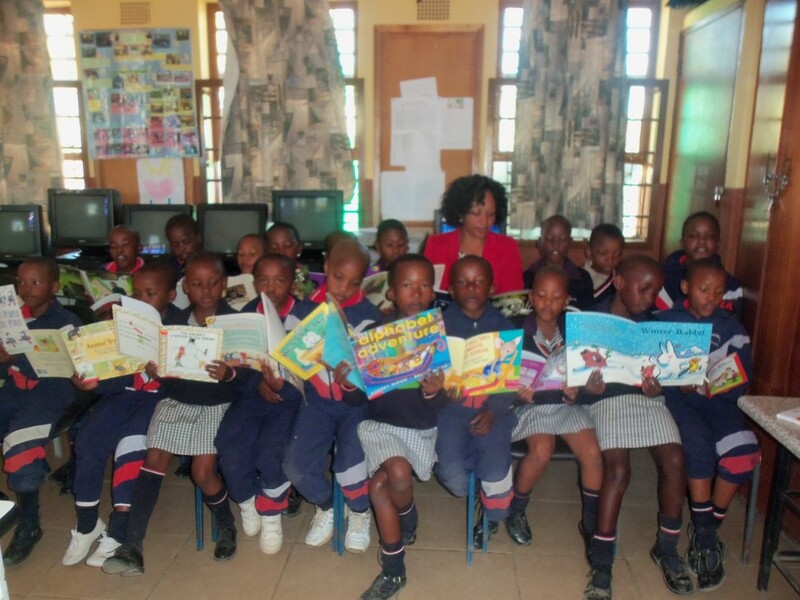 We send books to Mrs. Adei in Akosombo, Ghana, Mr. Malakane in Lesotho, Mrs. Dunstone and Mrs. Ragophala in South Africa. Sometimes people ask me why I this project. There are lots of reasons, and you can read the history of this project here, and here, and here, and here. However, the ultimate reason is that I believe that all children deserve books and the only way that can happen is if we help. I think it is also important for us to learn from each other. I hope to visit some of our partner schools next summer. I want to make this trip a learning trip. 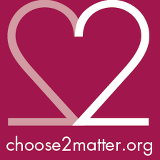 With this blog, I hope we can open up conversation between the students at our partner schools and ourselves. What do we want to learn from each other? What are you curious about? What do you want to know? What books to do you love to read? I hope you will leave a comment and let us know. To leave a comment, press on the conversation balloon next to the title of this post. That will open a comment box. 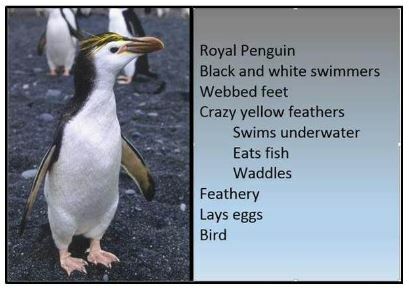 Type what you want to say, fill in the requested information, and push post comment. 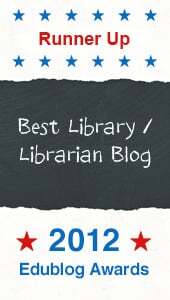 I moderated all posts to make sure they are appropriate for our blog. What dog is in Sovenga? I think the book Dogzilla is in Sovenga, South Africa! 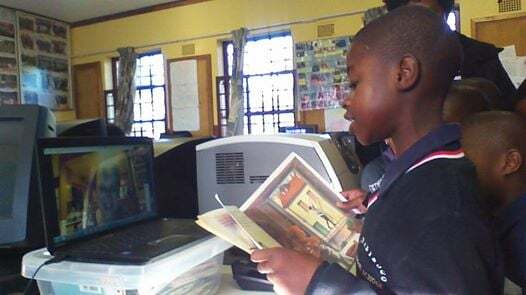 Yes, the hilarious book by Dav Pilkey was one of the books we sent to Mrs. Phuti Ragophala at Pula Madibogo Primary School, in the Limpopo Province. One of the boys read the book Dogzilla to me on Skype last night. Dav Pilkey, who wrote Dogzilla, is also the author of the Captain Underpants series. His books have been making children laugh for years! 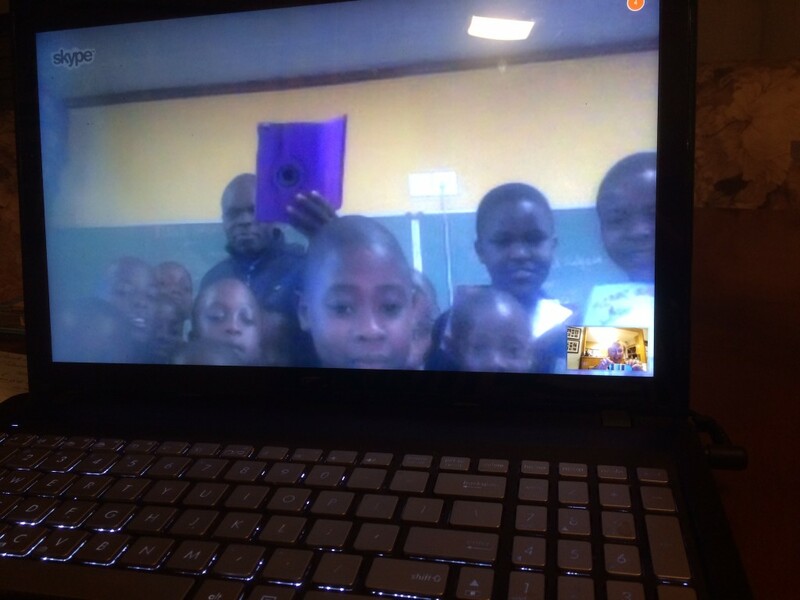 Last evening at 11:15 pm, I skyped with Phuti, two of her teachers, Mohlake and Molepo, plus a classroom of students! 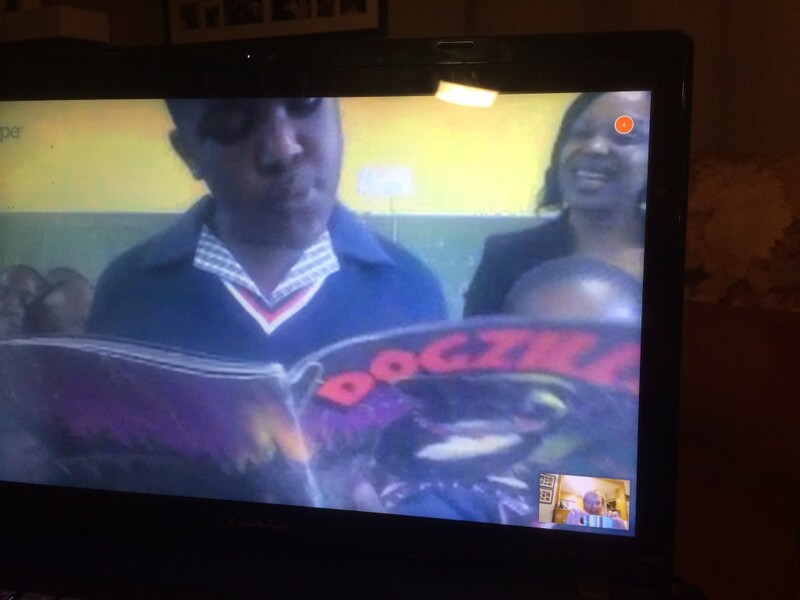 They were so excited about the boxes of books we sent that they wanted to talk to us live on Skype. 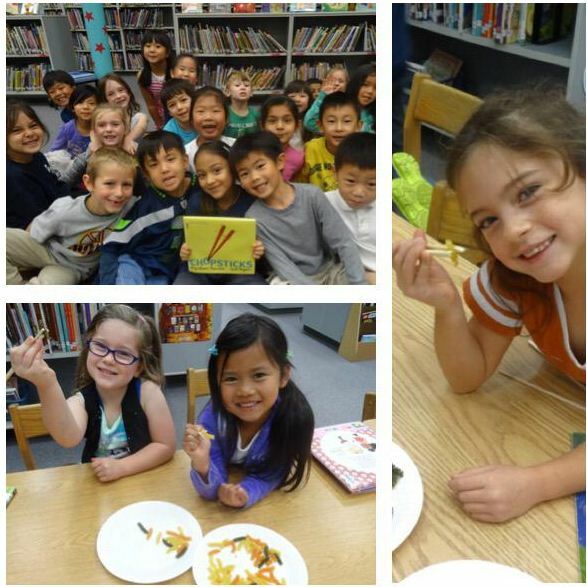 Here is are some photos from their classroom during our Skype visit. In South Africa, the teachers call their students by a different term.They call the children learners. I like that word better than students. 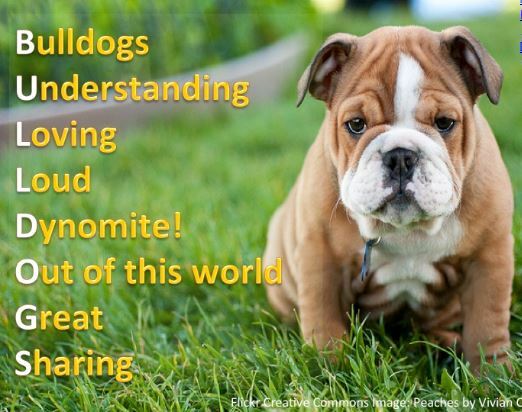 It just seems to say what we all do – we LEARN! 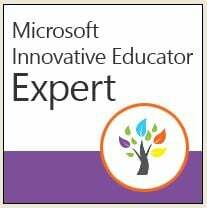 I hope to Skype again this summer and then once school starts we will arrange for a call and a time when our students can participate. We will have to write a sing a song for our friends. They sent me a video on Facebook, but unfortunately I can’t figure out how to download it and post it on the blog. If we get the technology worked out, I will post it here. The teachers have already asked for more books! 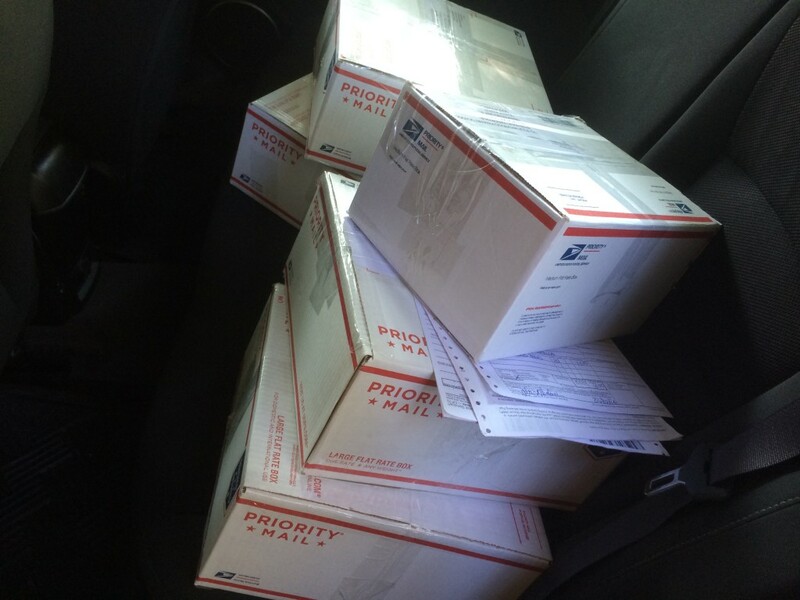 I was sad to say that we have to wait until we raise more money for postage in the fall. Now I can’t wait for school to start again. Look at all the books on this cart that are waiting for new homes. 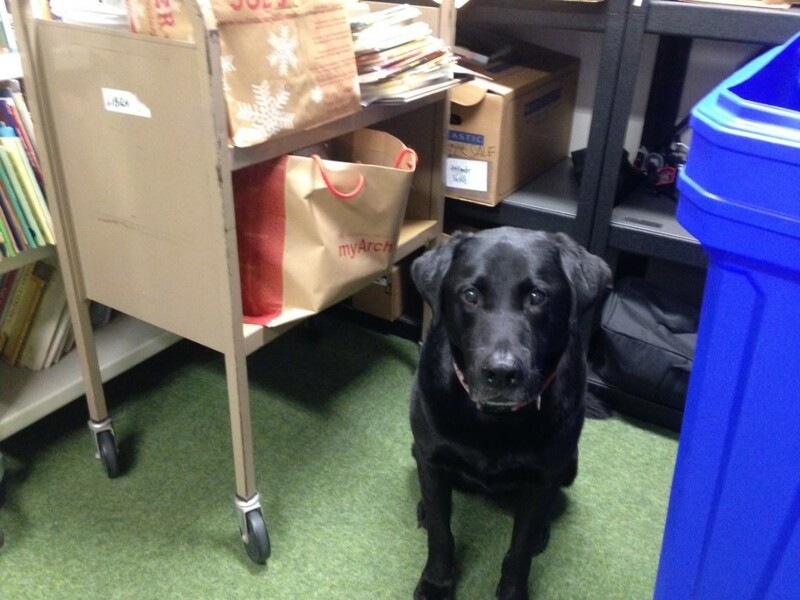 Even Jett, Mrs.Daly’s dog helped out when she came up to the library to add to our book donation cart. 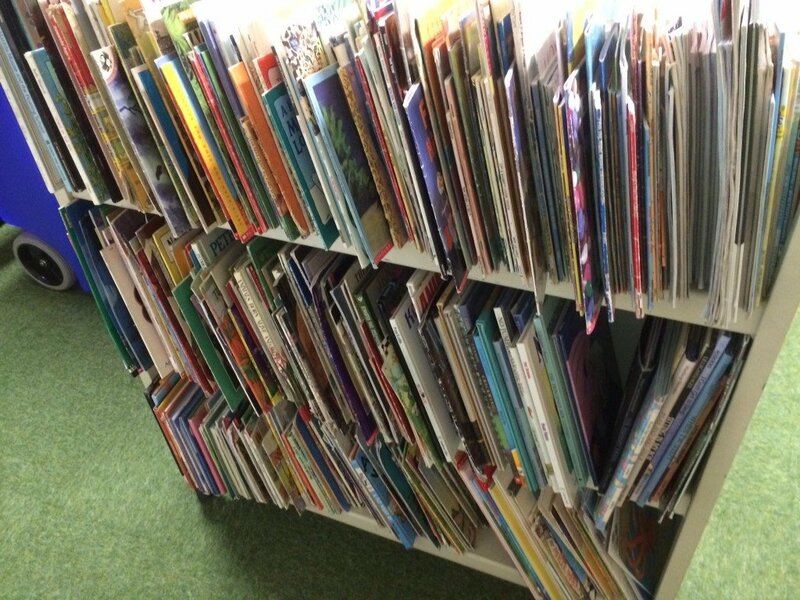 Are you wondering where this school is located and where some of these books will go in the fall? 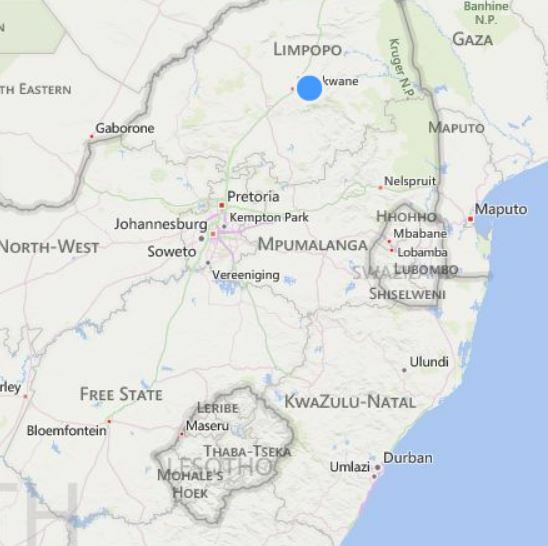 Here is the general area where the school is located in South Africa. In case you were wondering also, how I could know someone 10,000 miles away from our school, I have the answer. 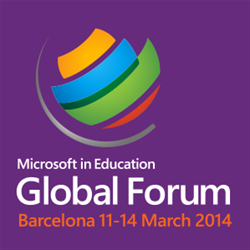 Mrs. Ragophala and I met in March at the Microsoft Global Forum in Barcelona, Spain. We started talking about our projects, and she was very interested to hear that we send books to schools in South Africa. 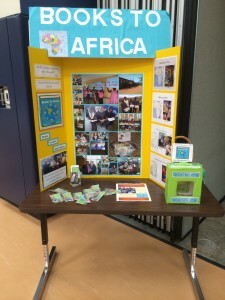 Before you know it, we added another school to our Books to Africa project! She was selected to attend for her project “Planting seeds” Changing lives! 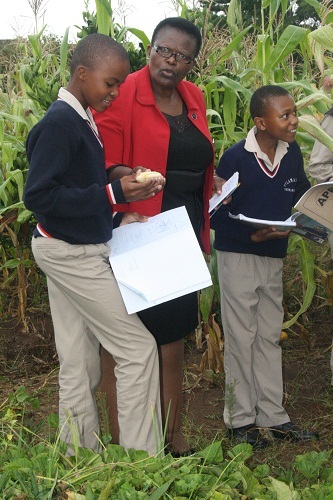 This project is about the different stages on how food is produced, technological tools that were used to enhance teaching and learning & how the lesson impacted learners and community members. 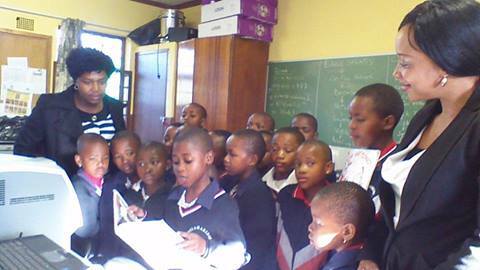 She has been teaching for 27 years at Pula Madibogo Primary School, of which nine years being a principal. 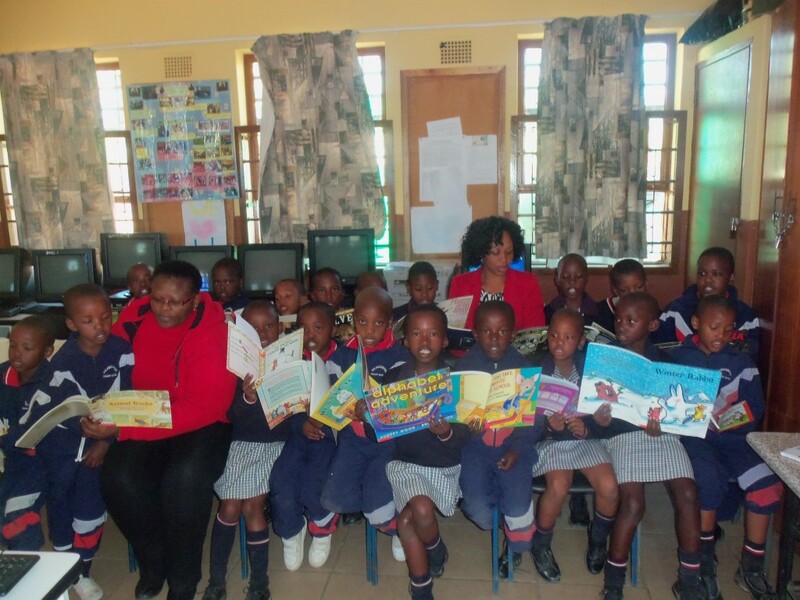 I hope you are as motivated to read as the students at Pula Madibogo Primary School. Who has already read 5 books this summer? Let me a comment and let me know!